Winter is here, and I have a little gift to help you celebrate the season of snow! 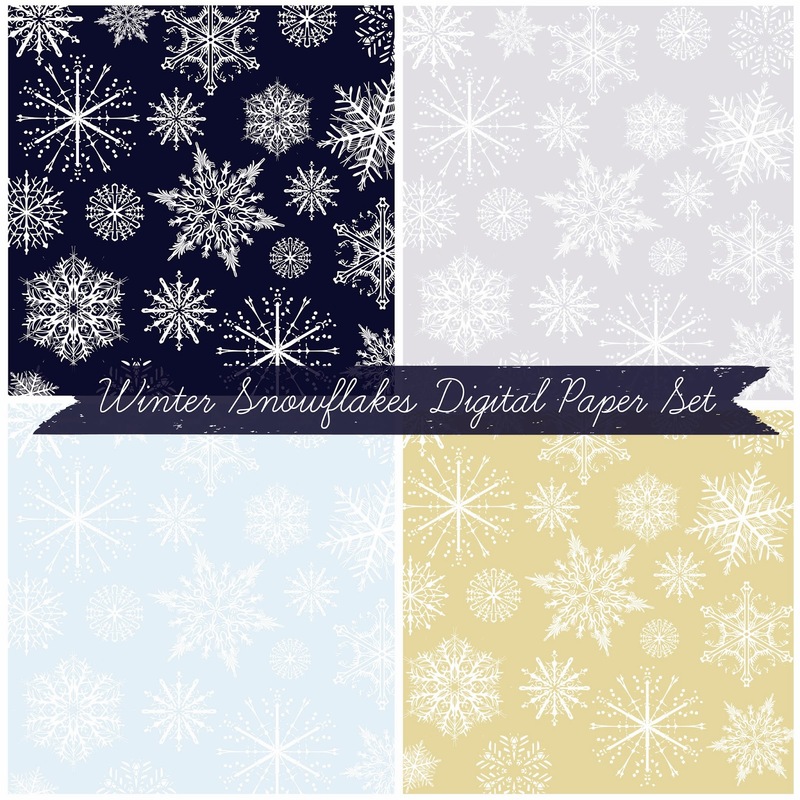 Here's a free set of 4 12x12 inch papers featuring a white snowflake pattern set against deep blue, silver, light blue and gold backgrounds. I hope you'll find many ways to use these papers in your winter and holiday-themed scrapbooking and crafting projects. What are your rules for people using your sets? Is it okay if I use one of the above images as my blog background? Definitely! You can use the digital papers in any of your personal or commercial projects.